Alex Embry has been with me as a moderator for more than seven years. He also happens to be a SWAT team commander and training sergeant at the McHenry County Sheriff’s Office, outside of Chicago, where he has worked for 12 years. Alex Embry is a 12 year member of the McHenry County Sheriff’s Office where he is currently assigned as the training sergeant. He is presently the commander of sheriff’s office’s multi-jurisdictional SWAT team, on which he has served for 9 years. During his time on the team, he has worked on entry, as a sniper/observer, assistant team leader and team leader. In addition to his work in law enforcement, Alex co-owns Point of Impact Firearms Training, which specializes in tactical shooting performance, and owns and operates Alpha BJJ, a Brazilian Jiu Jitsu academy, in Woodstock, IL and is ranked as a black belt in BJJ under Mike Budnik. Furthermore, he holds black belts in two forms of Kempo and an apprentice instructorship in Jeet Kune Do. During his time in martial arts, he has also spent time in Pekiti Tersia Kali and runs a training group out of Alpha under Paul Ingram of the Kali Center. 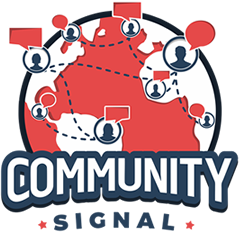 00:04: You’re listening to Community Signal, the podcast for online community professionals, sponsored by Higher Logic, the community platform for community managers. Tweet as you listen using #communitysignal. Here’s your host, Patrick O’Keefe. 00:24 Patrick O’Keefe: Hello, and welcome to Community Signal. On KarateForums.com, I have an incredible team of volunteer guides and moderators that help maintain and propel their community forward. We have seven moderators, four of which have been with me, just as moderators, anywhere from seven years and three months to 11 years and three months. Two of those are law enforcement officers and this was not something we planned. It was not something we did deliberately. I’m not even sure that I was aware of it when I invited them. They were invited because of their passion for the community, the thoughtful way that they treated their fellow members and their incredible contributions to KarateForums.com. But I thought that it was interesting that we had not just one, but two moderators who work in law enforcement. I think it’s more than just a coincidence. And I published a series of articles last year, which we’ll link to the show notes, diving into the similarities and differences between being a moderator and working in law enforcement. 01:13 Patrick O’Keefe: Alex Embry is one of these moderators and he’s our guest on today’s episode. Alex is a 12-year member of the McHenry County Sheriff’s Office where he is currently assigned as the training sergeant. He’s presently the commander of the sheriff’s office’s multijurisdictional SWAT team on which he has served for nine years. During his time on the team he has worked on entry as a sniper, an observer, as an assistant team leader and team leader. 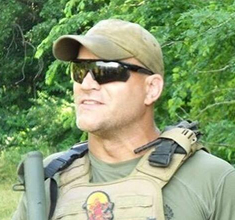 In addition to his work in law enforcement, Alex co-owns Point of Impact Firearms Training which specializes in tactical shooting performance and he owns and operates Alpha BJJ, a Brazilian Jiu Jitsu academy in Woodstock, Illinois and is ranked as a black belt in BJJ under Mike Budnik. Furthermore, he holds black belts in two forms of Kempo, and apprentice instructorship in Jeet Kune Do. During his time in the martial arts he has also spent time in Pekiti Tirsia Kali and runs a training group out of Alpha under Paul Ingram of the Kali Center. Alex, welcome to the program. 02:07 Alex Embry: Hi. How are you, Patrick, thanks for having me. 02:09 Patrick O’Keefe: I am doing great and it’s fun to have you on. We’ve spoken before, we’ve spoken before about this topic. We’ve spoken about moderating and I think you are the first moderator of mine, unless I’m forgetting someone who I have had on this program. So in the first current moderator. So that’s a lot of fun for me. 02:26 Alex Embry: Oh, thank you, that’s an honor. 02:28 Patrick O’Keefe: I knew when we co-hosted the KarateForums.com 15th anniversary live stream celebration that I had to get you on here. We had a good chemistry, good flow. I wanted to get you on the show and kinda expose you to my listeners, my audience because I really think the topic of law enforcement and moderation is really interesting. So thanks again for joining me. 02:46 Alex Embry: Oh thank you, and that live stream was a blast to work on. That thing was just great. We had a great time. 02:51 Patrick O’Keefe: Sure did. So let’s start with this. What did you see as the similarities between your work in law enforcement and your role as a moderator? 03:00 Alex Embry: When you first asked me about this, and I was like, ‘I don’t know, I’m not sure.’ I kind of like looked at it and wasn’t sure there was many, but the more I stopped and really thought about it I was like, “Patrick’s really onto this.” Because there actually is quite a bit of overlap between the two. And not just on the enforcement side, which I’m sure is what everyone starts to think about like, “Oh, police are enforcing laws, they’re stopping cars or writing tickets or taking people to jail.” But on the moderator side, we’re removing posts, we’re notifying you of problems, and we’re doing all that. But aside from the enforcement action of it, a lot of the behind the scenes stuff is very similar. And I think honestly, that’s where for me, the biggest meat and potatoes of those similarities are. When you talk about the decision making that police have to do every night on shift whether are we gonna take enforcement action are we gonna leave a situation alone, is there some other means of mediating a situation other than enforcement action. Just that simple decision making also translates to the community side as well. 04:00 Alex Embry: When we’re looking at posts within the guidelines that you provide for us, we have to read those posts to compare those to our guidelines and decide, are we gonna take enforcement action? Are we gonna move a post? Are we gonna leave it as is? Is there another way to mediate it? Can we just jump in and cool a thread down if it’s getting a little heated by our participation rather than taking enforcement actions? That decision making on how you’re gonna approach a problem actually has a ton of overlap because it’s rarely as cut and dried on either side. There are times it’s very cut and dried, but a lot of times, you’re operating in that gray area and there’s a lot of different paths you can take to fix a problem. And you really have to look at what’s the best way, not for you as a moderator, what’s the easiest route as a moderator or as a police officer, not what’s the most convenient for you, but what’s going to fix the problem for the community at large? Whether it’s the community where we’re posting online or the community we work in and we’re trying to keep safe. So when I look at the similarities beyond just the enforcement, that decision making and working the problem through has so much overlap for me that I will like, “Wow! Patrick’s really on to something,” there’s actually a lot more similarities than I think I gave it credit for at the outset when you first approached me with the idea. 05:11 Patrick O’Keefe: And I think we’re gonna dive on those similarities in more detail here today. I was just thinking the documentation behind the scenes. I’m sure the paperwork that you have to [chuckle] as police officer you have to write up is a little more detailed than our documentation. Even though our documentation is barely detailed as far as online communities go. You don’t have to cross the T’s and dot the I’s as much. 05:30 Alex Embry: But you’re so correct when we look at behind the scenes, I think in America we’ve really gotten this idea that, police show up, we fix the problem, we drive away, we go get our cup of coffee and that’s kind of it for the night, when in reality, we go to the call that might take a half hour. We might be working on that report for another half hour, 45 minutes. We might be doing follow ups which is another set of time. We might be back at the initial address while we’re doing the investigation. So there is a lot that goes into that that you don’t see on TV and then we’re, like you said, we’re still documenting, we’re taking reports, we’re taking photos, and all that’s getting uploaded somewhere. 07:15 Alex Embry: And I think it really provides you with a good framework to make decisions about who’s banned, who’s not banned, what the final course of action is. So, I think that documentation is as important in communities as it is in law enforcement for the end goal, for what we’re trying to achieve, because I can’t make an arrest without showing a history. I can’t make decisions about what arrest is the correct one without showing a history of the documentation, of, how many times have we been here? What has this led us to before, and what has and hasn’t worked on the solution side. And I think when you look at the community forums, you see the same thing that you’re doing. Alright, how many times has this person violated this regulation? How many times have I told them again and again not to do this? How has that escalated over time? And it’s very similar to the reporting we do in law enforcement. 08:00 Patrick O’Keefe: And if some documentation is missing, I don’t know if I’m Internal Affairs in this example, but if some documentation is missing, you know, “I’ll be there.” [chuckle] I’ll show up, and I’ll ask, “What happened here? Why isn’t this written down somewhere?” Yeah exactly. So thinking about your training to get into law enforcement, right? And even your work in the early days, how do you think that has helped you as a moderator? 08:20 Alex Embry: So much of it, I hate to continue to go back to decision making, and so much of it goes to though, not just decision making, but the process that goes into that. And it’s the same thing that goes on when we’re on the road making a decision. It’s taking the time to find the detail, to find the reasons why, and critically think through a problem. And that is part and parcel for police training. We don’t go out and just enforce with a heavy hand on everything. There’s a process we go through where we have to take in information, sometimes it’s speed, and we have to make a decision based on what we know at the time. And given time, we wanna do a thorough investigation. And that training to do that, to have that kind of mindset, translates very well over to the forums because we’re not just making a snap judgement, “Oh, I don’t like this guy. I’m yanking that post because he disagreed.” That’s not what we do as a police officer, that’s trained out of us from day one, nor is it what we should be doing in helping to manage a community online. So, it’s not, “What do I think about this person? Man, I don’t like that.” It really is a, “Okay, let’s stop, let’s take a look at the action, let’s take a look at our perceived violation. Let’s take a look at the guidelines we have in place on the community. Let’s see how the two interact, and let’s see what that leads us to. Is this actually a violation or not.” And if it is, we simply follow the procedures that are established. 09:38 Alex Embry: And that’s one thing in law enforcement that from day one, it’s like, “This is the procedure. This is how you do it” and those procedures are there for a reason. Everyone understands the reason, so you run that through the procedure as is dictated. It’s the same way when you get to, “Okay, I do have a violation, so what’s the procedure?” We’re not taking shortcuts, we’re not failing to document, we’re not making decisions outside of that procedure. We look at the interface of the violation and the guidelines. Or in the case of the police, the violation and the law, and we see what does that lead us to on our procedures? Where do we go next? “Okay, so I know I’m gonna pull that post. Oh, that one’s kind of questionable. I’m gonna boot that up the chain in command and ask Patrick,” or in the case on the road, “Wow, that’s pretty questionable, I’m gonna call a state’s attorney and get some clarification on the law on this one.” So just the training and the mindset about how you walk through these investigations and these problems, is actually really similar to the same issues we see popping up on community management, for sure. It’s just that methodical process of working through a problem. 10:39 Patrick O’Keefe: Let’s continue down this train of thought. You’re kind of referencing officer discretion, and you told me that officer discretion is often the hardest thing to teach new recruits. Officer discretion comes into play when an officer sees a problem and has a choice of how to proceed, because oftentimes, there’s no choice, so you don’t have that option. But when they have this option, they can then choose the option that best solves the problem from their perspective. Now, do they push forward with an arrest? Is there a better way to deal with it? How do you think officer discretion applies to moderation? 11:08 Alex Embry: Yeah, and you hit the concept of officer discretion right on the head. And even now with, I think we did a lot of spit-balling for that article about a year ago, even with a year to think about it and process and learn more, and get better in my profession, I still stand by that statement. I think officer discretion is the hardest thing to teach new recruits. I think it’s also the hardest thing the veteran officers have a problem with. In the climate we’re in now is, where do they draw that line? Where do they find what they should do? What’s not a good idea? What’s a better idea? I think it’s difficult. I think it’s a very difficult thing. It’s also, on the community side, kind of a hard thing, not just to teach. And it’s the same thing, not just to teach new moderators, ’cause I had a lot of trouble with it when I was a new moderator. 11:50 Patrick O’Keefe: Yeah, we have a couple of new moderators right now that are working through it. 11:53 Alex Embry: Right. That’s hard as a new moderator. It’s also difficult for a veteran moderator sometimes, maybe not in the same way. But, it never really gets easier because you have a choice and there’s no clear right way. Sometimes, I think we referenced this in the article, there’s a very clear-cut choice. Sometimes there’s a very clear-cut choice in law enforcement. Someone commits a very obvious violation of the law, there is physical evidence, there is witness documentation, or an officer watched this transgression occur, there is no choice. We are going to arrest that individual. It’s very easy. There are times in the moderation world where it’s an easy choice. The guidelines state very clearly, no profanity, “These are the words you will not use.” All right, a post has that word, that’s an easy choice and we proceed with our procedures. However, there is that grey area, like we talk about, we don’t want any inflammatory conversation. Debate is encouraged, which I think is fantastic and certainly makes a community worth coming back to over and over again because you want to hear what other people have to say. But when that crosses the line and becomes inflammatory, that’s something we pulled down. 12:57 Alex Embry: For you, as a community owner, it would be next to impossible to list out every single situation which every poster that is capable of logging online could become inflammatory in any given discussion that the permutations would be endless. So we have to look at that word ‘inflammatory’. We have to look at the intent of your guideline and then we have to read the post. And when we read it we look at that, “Wow, that’s close to inflammatory” and you kinda have to read through the thread and determine, “Is this individual being inflammatory, is this individual just strongly debating the issues?” And a lot of times, it’s a grey area post. And we have to look at what is best not just for that thread, but what’s best for the community as whole. 13:43 Alex Embry: What’s great about KF is we have a very, very good understanding of what you want from that community. It gives us another bit of information where we can go back to the post in question, look at it and like “Okay maybe it’s inflammatory, but we know what kind of community Patrick wants to run. How does it affect that vision of the community”? So now we don’t just interface the words from the guideline and the words from the potential violation, but we also compare that violation to what we know your goal is, what your overall theme of the community is, and we can see how it fits there and that gives us another little bit of information that perhaps “Okay, well this guy is going a little too far and maybe we do need to pull that down”. 14:21 Alex Embry: So, easy concept to talk about, much harder when you’re the one pulling the trigger and deciding, “Okay I’m going to pull this down. I’m going to send this guy a message” because sometimes that brings its own problems; which interestingly enough when you compare and contrast that to law enforcement, the same thing can happen. We get on that call, like “I could take this guy to jail I don’t know if I need to, don’t know if it’s the best thing” and I decide, “Okay, well. This is the community, this is the tone and tenor of this community, he’s stepped outta line. We’re gonna go ahead and take him to jail. And then we escalate because he decides to fight over that.” So there’s always consequences and this can sometimes despite best efforts on either world, law enforcement or moderating, and when we take action or fail to take action despite our best efforts, best intents, best information we had at the time, things can still not go the way we want them to. 15:06 Alex Embry: But the more experience an officer gets, the more often they get that call correct. And I think the same is true with moderation, the more experienced moderators; and I know I felt more comfortable through the years because I’ve started to understand, I get more feedback from you as we go through the years and it’s like “Okay, this one’s okay. Okay, this one you’re right, that one does need to go.” And you start to kind of develop an internal dialogue of what works, what doesn’t. And the more you’re doing that job in moderation, the more likely you are to use that discretion correctly, and it’s the same with police officers. And I think it’s truly the sign of a more professional staff or more professional police department is when they start to make those decisions correctly, more often than not. And that’s where we can really… When you look at community policing or community management online, you can really change the tenor of a community based on how well officers use that discretion. And I think the same is true in online communities. How well moderators use that discretion can greatly affect the morale of that community, either being too heavy-handed or too lax, finding that balance, when you have the staff that can find that balance, it seems like the community just rolls along better, everyone’s having better discussions, everyone’s willing to share thoughts more because your staff’s getting it right more often they’re not. 16:20 Alex Embry: We see that in policing as well. Communities where officers are properly using that discretion, we have more successful interactions with civilians. We have more successful outcomes in investigations. Conversely, when you look at departments where their officers aren’t making that right decision, more often than not, you see a lot more headache in the community, you see a lot more police-citizen interactions that don’t go well. So I think the ability to train your people on either side, law enforcement or community management, to make those decisions right more often than not when they’re using their discretion, is absolutely critical because that defines, “Are we going too far? Are we not going far enough?” versus a happy community. And so I think it’s a very important skill and we can’t undersell it on either side of the discussion. 17:48 Alex Embry: That is a great word for it. 17:50 Patrick O’Keefe: You see everything else that’s happening. And also as we’ve kind of alluded to, I don’t hesitate to step in and adjust things in a hopefully polite and respectful manner whenever there’s any issue because a lot of mistakes are very bad. A lot of mistakes, if we get half of those decisions wrong, we’re in tough shape, the community’s gonna hate us. But if we get one, two, 3% wrong… Or even five out of 100, or even 10% isn’t that bad, but the key is that when, and I know it might sound crazy to someone listening, but it’s less than that… But, it’s not that I wanna be perfect, it’s that I want the end result to be the way it should be. So I don’t wanna scare everyone… I don’t wanna scare our moderators to inaction. Man, hopefully, I don’t do that often, but… What I want to do is create an environment where they feel comfortable making a mistake with the understanding, it’s not the end of the world, as long as we learn from it. 18:41 Patrick O’Keefe: And that’s the same thing, that’s true for members, too, in the community, is that we wanna create an environment where violating the guidelines is not a bad thing. Just like I think, honestly, and I say this as someone in the US, US citizen, whatever… I don’t think breaking a lot of different laws is necessarily a bad thing the first time, right? I think how you learn from it, the educational opportunity that presents itself with someone who has that first violation, whatever it is, as long as nobody dies, nobody got hurt, there wasn’t a threat of anyone’s physical harm. We can learn from those things, right? We can still be good citizens and we can still be greater members in a community. So I think it’s really interesting you do definitely fine-tune those senses over time. 19:19 Patrick O’Keefe: I would like to take a moment to recognize our excellent sponsor, Higher Logic. Higher Logic is the community platform for community managers. With over 25 million engaged users in more than 200,000 communities, organizations worldwide use Higher Logic to bring like-minded people together, by giving their community a home where they can meet, share ideas and stay connected. The platform’s granular permissions and powerful tools, including automated workflows and consolidated email digests, empower users to create their own interest-based communities, schedule and manage events, and participate in volunteer and mentoring programs. Tap into the power your community can generate for you. Higher Logic – all together. 19:55 Patrick O’Keefe: And, you mentioned the inflammatory guideline. That was one that came up a few times because it is a tough discretionary one it’s really based on context. And when we talked about that for law enforcement, you compared it to disorderly conduct. 20:06 Patrick O’Keefe: Which I guess is an area where officers often have discretion in how they apply disorderly conduct. 20:12 Alex Embry: Yes, especially here in Illinois, where I’m from. The text of the law actually reads something to the effect of, “Was the person alarmed and disturbed?” And when you interpret that, almost any time the police get called, you can interpret it like, “Yes, of course, someone was alarmed and disturbed, they called the police.” And it’s a big catch-all, and it gets used a lot. If there’s no other way to solve this problem, like this is an ongoing problem, “We’re dealing with the same thing over and over and over again. I need to be able to do something.” “Well, look, you’ve alarmed and disturbed this person, and it meets the statute of the law. This is gonna fix the problem. This is gonna send the message.” And, a lot of times, it’ll get applied as such. There’s been more recent, since the days when I was really on the road and working a lot of patrol-level capacities, there’s been a lot more restriction placed on that. But there was certainly a time when that was such a catch-all, that you could apply it about anywhere. 21:04 Alex Embry: That does not mean it should be applied everywhere, or anywhere close to everywhere, but sometimes it’s tough to interpret. And you go back to new officers like, “Man, this guy is… I’m done with this guy. He needs to go to jail. This is all I’ve got him on.” And that may or may not be the right response. And that goes back to fine-tuning that sense of, how do I apply this particular statute correctly to solve the problem in this neighborhood on this night, given what we know about the problem? It’s really not dissimilar to the inflammatory guideline, which, by the way, I think is an important guideline. That’s one of the things that I love about KarateForums, that I truly detest about so much other media that I have to be part of for different business things. Man, it can get outta hand fast. And all debate or discussion devolves into name-calling very quickly, which… Yeah, thanks, internet. 21:52 Patrick O’Keefe: Yeah. It’s sort of a foundational guideline for us, as a community. 21:55 Patrick O’Keefe: Even though it’s one that we talk about as being more difficult to apply, because it’s not a cut-and-dry guideline, but that effort makes the difference. And for anyone listening, inflammatory guideline, you might call it disrespectful content, being respectful, whatever, it all falls under the same thing. I kinda like ‘inflammatory’ because I feel disrespectful if I say, “You’re being disrespectful.” That tends to inflame it even more. And there’s that word again. Inflame, inflammatory. It’s just more of a nuanced word, but it’s… When you’re saying something in a way that’s meant to provoke a negative reaction more so than actually contribute to the thread, so that takes a lot of forms. And it’s hard! But it’s worth it. 22:30 Alex Embry: That is so worth it. And finding that fine-tune about where you enforce that is very similar to that kind of discretion an officer has to use. And, again, I think the more people do it, the more comfortable they get with it within the tone of the community. And sometimes, as with police work, different members of the community, whether they’re coming in from a different community or different neighborhood, they’re not quite indoctrinated into the tone and tenor that that community allows. And they learn, too, just like you said on the legal side. People learn, no one died. It’s okay. We can learn from it. And I think we see a lot of people come in that are kind of used to the more free-for-all, ugly nature of internet comments. And all of a sudden, they’re dealing with this inflammatory statute, and it can be different for a while. But, again, we have a lot of members that learn really good lessons from the first few interactions, and they move on to become incredibly productive members of the community. So, it’s an excellent guideline to have available at the forums. 23:22 Patrick O’Keefe: So we’ve talked about violations mostly so far, but policing isn’t just patrolling, or looking for violations. And neither is moderating. For both to be successful, there has to be community involvement. With community management and moderation, and with law enforcement, it is natural for members and citizens to be careful around those authority figures. They may even regard you cautiously, perhaps even with distrust. I know I feel this, as someone managing a community. I can definitely feel when members are different around me, and I don’t blame them. Yeah, I understand, especially when you’re new. “This is the administrator, this is the moderator, what are they gonna do?” They might’ve been on another community, where someone else was different, treated them more harshly. So there’s a sense of something there at that start until we earn that trust, hopefully. 24:02 Patrick O’Keefe: And I don’t want people to see me as a robot, right? Sitting in a windowless room. I have a window in this room, and a sliding glass door. I can see, I could get a light. But I don’t want people to see me as a robot, sitting in a windowless room deciding the fate of each and every post and member. I’m not sitting here with buttons with everyone’s name on it, waiting to press them. I think the same is true for law enforcement. I try to be active in the community, to always be accessible, and to make sure that members have positive interactions with me, not just negative ones. And hopefully, this makes me a little more human in their eyes. And I’m sure there is a danger for a law enforcement officer, or a LEO, we’ll use that term a few times. Not say the long words every time. For a LEO to boil every interaction with a citizen, down to deciding whether or not a violation of the law has occurred. But who wants to talk to that person? Who wants to have a conversation with that person when every word I say is going through a legal or not filter? So, how do you keep yourself from falling into the trap of simply being an enforcer? 24:57 Alex Embry: You know, and that’s a really great question, and it’s something in law enforcement we struggle with a lot in this day and age. And there’s a lot of great things that police are doing. There’s a lot of great things that we do. I’m a big believer in all these programs, whether it’s cops living in neighborhoods, whether it’s functions for the kids, community, or things where they come in and have open houses. I’m all for that. Those are certainly worthwhile projects. I think the best thing that cops can do on that side of staying connected with the community is actually not be afraid to get out and talk to people, and be human to the people that you can be human with. And for all of the great stuff that goes on, and a lot of attention gets paid to different programs, whether it’s bringing kids in for the Touch a Truck so they can drive around on our SWAT vehicles. I mean, these big events that tend to garner media attention, all the attention seems to go there. I think on a day-to-day, on a beat level, being involved, just getting out and saying hi to people. I think one of the worst things we ever did was get air conditioners in the cars so we can drive around with our windows up all the time, listen to our music, and be on our cell phone, talking about how we really dislike this person or that person that we’re on a call with just a second ago. 26:02 Alex Embry: But it’s just that community interaction, and being willing to actually talk to people like normal people. So many of the people we come into contact with, in most neighborhoods, not all law enforcement neighborhoods are this way, but most neighborhoods, most people we come into contact with are really good people. Maybe they’re having a bad day. If we just talk to them like people and treat them like human beings, we tend to have more positive interactions. That’s the same way with just being part of the community. It’s good when people see us, and I think you’re exactly right, being part of the community, dropping in on threads occasionally. I try and drop in, drop my two cents every now and then on threads that might not even be my specialty just because I think it’s good, occasionally, when I get a post out that doesn’t have to do with jumping on and just pulling something off. Like the fact that I’m out there, I’m putting stuff on, I’m putting content up, and then letting people disagree with me. And let people on know that that’s okay. I’m really fine with that. And I think it’s a good thing. It’s one of the strengths of our community. It’s good that we can disagree and not be 12-year-olds about it. So, the participation in that and the work back and forth there I think is important on the online side, just like getting outta the squad car and talking to people is on the other side of things. 27:07 Patrick O’Keefe: Yeah, and it’s easy to forget that, I know law enforcement officers switch departments, they move, they take different jobs. But I would hazard a guess that many of them were raised or lived in the area where they are now law enforcement, before that was their profession. And similarly, it’s easy to forget that most community moderators, certainly, all volunteer moderators, like you are on KarateForums.com were first members of the community, who were people who were in the community, talking to people, and that was your whole thing. That was the reason you were there, was because you liked this community and you liked the people. And then, you got invited to become a moderator, and something that can happen is that you lose something in that. Sometimes people lose or their enjoyment of the community is sour. It’s not the same. And I think as much as you can keep that same enjoyment, that same mentality you had as a member, understanding there’s different responsibilities now and it’s tough, but as much as you can keep that same level of interest in the community that you had just walking around on the street or posting it on an online community, I have to believe that it’s better for you and your mental health and your well-being and how you do your job, the whole package, it’s better if you can kinda remember that way that was before it was your responsibility. 28:18 Alex Embry: Before it’s your job, yeah. Absolutely. 28:23 Patrick O’Keefe: I wanna talk about abuse of power and corruption. This is one of the many areas where the comparison between moderators and LEOs might seem a little bit silly, because officers risk their lives every day. Moderators do not. We’re fine. We’re behind a computer screen. We tend to be in no danger. But I believe that the majority of law enforcement are doing the best they can like I believe the majority of moderators are doing the best they can. And the worst people in any group often get the most coverage. I know this is as a homeschooler because it seems like every time a homeschooler pops up on TV, they did something stupid, and I’m like, “Don’t talk about them anymore. Please. I don’t care what they’re doing.” But I get it, they’re different, they’re not the majority. I get it. But there is a percentage of both, that abuses their authority to target people unfairly, or achieve personal gain, or to commit offenses themselves even. And they make the rest of us look bad. And it’s especially true for law enforcement, doubly, triply, quadruply true. They make your job so much harder. And this is a tough topic, but it’s an important one. And I wanna ask you, from your perspective, working in law enforcement departments, how can abuse be prevented, and when it happens, how can it be addressed in a way that restores confidence? 29:30 Alex Embry: Right, and it is a big topic right now, we’re dealing with it in the law enforcement community huge right now, and again, I agree wholeheartedly. I think almost everyone is trying their best to do the best job that they can. Unfortunately, just like you hear comparison with that homeschooler thing, every time someone shows back up, we have to wonder in law enforcement, is there a problem with whatever action they’re talking about. A lot of the prevention of this behavior, it goes down a couple of paths. One is education and training. We have to make sure that officers are trained properly. And we’re getting to a point now in American law enforcement, where that is getting much better every year. 30:03 Alex Embry: The training and standards boards in every state are progressively getting better and better every year. The officers are seeking out better and better training every year. So that’s a big part of it. The other thing that has to take part in this is agencies just can’t foster a tone that allows for that. They can’t foster an environment that allows abuse of power. Anytime an agency basically puts a rubber stamp on an action that’s abusive in some nature, they basically send the message to everyone else in the department that that behavior will be tolerated. And if that behavior is tolerated long enough, that behavior becomes the norm for the agency. And we can run into big problems with that. And we have in the past. The same I’m sure is true of moderation and I’ve been very very lucky. I can honestly say I don’t have any experience in either one of these fields, but especially on the moderation side, we’ve got such a great group of moderators at KarateForum, which is my only real exposure to community forums. I don’t see that as a thing with us. 31:03 Alex Embry: And again, it goes back to the tone and the tenor of the management. It’s very clear. You have a clear cut documentation procedure and we justify our actions, that equals oversight and it’s not that you don’t trust us, don’t think we’ll do the job right, but oversight’s still a good thing just to make sure that the quality control’s maintained. And because of that, we have a method to show if someone is being unfair or abusing their power as a moderator. And because of that, it doesn’t happen. And because I think in front of that, you pick good people to be your moderators. So it’s a lot of factors that kinda go into preventing that, from the selection of the people to the training and the education of the people, and then to the way that you run your community as a whole. Or the way a department runs itself as a whole. 31:46 Alex Embry: And again, if you’re taking the time on the police side, to select the right people, train them and educate them properly, and you set the proper tone for how you’re gonna manage those individuals, you can forestall a lot of problems. And I think again, applying both of those to both police work and to community management, you see the parallels there. 33:01 Patrick O’Keefe: That’s not gonna be okay. I understand that you might wanna help them, but you’re creating a divide where it’s Patrick versus x. 33:09 Patrick O’Keefe: It’s not Patrick versus anybody. You’re not trying to hide something from me so the post doesn’t get removed. As a moderator, you’re supposed to take some action there and educate them. He wasn’t. So, I dropped him immediately because I couldn’t trust him from that point. I don’t read private messages practically, I don’t go through anyone’s private messages. We have the ability. We do so based upon reports and strong strong strong suspicion. And on staff, when I need to check some documentation, I do it there. But I’m not actively, like 99.5% of private messages never get seen by anyone but the recipient and the sender. I don’t wanna be in your business that far. I don’t wanna see all your stuff. I trust you to do it. But if I see that you’re doing that, if someone tells me, then I’m gonna take action. Because I can’t trust you. 34:14 Patrick O’Keefe: There’s an element of airing your dirty laundry that can be detrimental and can kind of bounce back on you. But yeah, there’s a time when you have to cut people off and it’s not always the most popular thing to do, but you know they did something so you have to take action. 34:26 Alex Embry: Right. And there’s a great parallel there as well. So many times we see public opinion go sideways about law enforcement actions because there’s an element of it that we haven’t shared, don’t share for whatever reason. One of the things that drives me crazy is for all of the incidents that happen where, “Why didn’t the officer do this and do that?” There’s this whole list of constitutional and case law and use of force guidelines that we’re mandated to follow, that we have to take into consideration that the officer is dealing with at the moment force was used. There’s all this criminal law we have to know. And the media is looking at this based on… And individuals are looking at this based on a small clip that they see. Conversely, when you just decide to ban a moderator, or when you decide to change status with a moderator and it’s a very popular moderator and you’re not gonna air that. Like you said, there’s a certain aspect of that that’s gonna blow back on you. That leads to some misinformation going on within the community itself and I can really see how that blowback can affect the community and by extension then affect you. 35:28 Patrick O’Keefe: In both roles, moderator and LEO, you were exposed to the bad things that happen that most people are probably not aware of in the pursuit of a functioning society or a friendly, respectful online community. I think it’s natural in either role for someone to enter it with the utmost optimism, but eventually become jaded and expect that people will let you down. In other words, it’s a role that can and does beat on you. How do you maintain balance and a sense of optimism? 35:56 Alex Embry: And you’re 100% correct. That becomes difficult in both roles. And, specifically in law enforcement, yes. Absolutely, you become jaded. Absolutely, you’re a slightly different person after a few years on this job. I think my wife will attest to that 100%. I definitely look at things differently now. It changes you and you get very jaded over it. 36:16 Patrick O’Keefe: And she actually stuck with you? 36:18 Alex Embry: Yes. My wife did not marry a cop, she married an athletic trainer. So I kinda sprang this on her afterwards. But it’s something you can’t just let eat on you. You have to have something outside the job. The guys that just live the job, I have respect for that, I get that, they’re certainly dedicated. But I think to be as healthy as you can be, I really think it’s a good thing to just have some time off, and then actually take the time off. In your off time, you shouldn’t be sitting around with just cops, talking about who you arrested last week, or this or that operation. And we’re guilty about it. We’re all guilty about it to a certain degree, we all love our jobs, we all like to rehash great stories. But have something to do off the job where you’re not constantly eaten away by that negativity that you deal with every night. And, to a certain extent, that’s true in moderation. Like you said, at some point someone’s gonna let you down, people are gonna let you down, it happens. 38:00 Alex Embry: But it’s good to be able to step away, have a healthier attitude towards how you’re dealing with that. And, occasionally, you need to take a little time off, “You know what? I don’t have it in me today to click on the board and find three reports waiting. I just don’t have it in me. I took care of two yesterday. You know what? I’m gonna surf Facebook right now. I don’t have it in me to deal with that today.” And that’s okay, go in and deal with it tomorrow if it hasn’t been cleared up, there’ll be three more, you’ll have your chance tomorrow. So in that way, finding that time to be away from it, to just get that separation from the negativity is a really good thing. 38:32 Patrick O’Keefe: And it’s important to have the feeling that you can do that. Right? Especially in law enforcement. I speak from no experience, but I would guess it’s important that you feel like your department you can leave. Things will be okay. 39:24 Alex Embry: Right. Yes. 39:25 Patrick O’Keefe: There was a time. But it’s like I go away, and I feel fine. Because there’s nothing that can happen. The only thing that could happen that would worry me is someone making a suicide threat, and that’s the time to use my number. Otherwise, anything can wait. And it’ll be fine. That takes getting used to, that idea. For community professionals, a lot of people in our industry think we should be 24/7, 365. If you’re leaving your community, you’re not doing your job. That’s really unhealthy. And so you have to be able to have that balance and it helps to know there are people there who are taking care of it. 39:55 Alex Embry: Right. Absolutely. And that’s harder for some personality types. 40:00 Patrick O’Keefe: It is. 40:00 Alex Embry: For me, that’s very difficult. And it took me a long time to get a healthy outlook; especially on the job, that it’s okay to step away. And while I step away, I’m not going to check my work e-mail, I’m not going to call my buddy who’s running my squad or my team at the interim, and like, “Hey, what’s going on?” Just being able to step away from them, it’s good, they’ve got it, and that’s okay, too. It certainly made me healthier. [chuckle] It took me long enough. 40:23 Patrick O’Keefe: Even though our domain as community professionals tends to be the internet, we often have to deal with threats that extend offline. Suicide threats, as I just mentioned and even threats to our own well-being are two of the more challenging examples. One thing we struggle with, and certainly I think about this and struggle with it, as we come up with policies, is when to involve law enforcement. Because you don’t wanna waste resources, and you don’t wanna be the boy who cried wolf. And with suicide threats, it can be so hard to involve any authorities at all, because we often don’t know much more about a member than an IP address; which is, quite often, useless, quite honestly. We do what we can to limit the damage online and to encourage the person to get help, but the decision to call law enforcement or involve authorities of that nature is a tough one. Do we even know where they live? Do we have enough information? Is calling the police the best option? Because police departments are overtaxed as it is, as I don’t have to tell you, but without receiving calls from a community manager in another county, state or even country that only knows a few details, and might be scared, but maybe can’t even give you a specific address. So when do you think law enforcement should be involved in that type of scenario? When should that call be made? 41:37 Alex Embry: You know, that’s a great question. It’s not an easy one. And it’s one that I was really impressed that you tackled as early as you did on KarateForums with the written policy. And I think that’s a great place to start. Getting writing, get some procedure down so when it happens you’re not… Well, with the incident when we’re calling each other, you’re not asking then, “What do we do?” At least that framework is in place with how to deal with it. 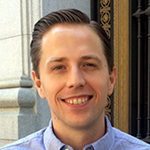 42:00 Alex Embry: When should law enforcement be notified? It’s so hard because you’re dealing with potentially with a human life here. You certainly don’t wanna underscore the importance of that. At the same time, when there’s no information to go on, it’s frustrating. And man, I’ve been on that call. I’ve been knocking on doors at 3:00 AM with zero information other than a cellphone ping that like, yes, someone in this neighborhood said they might kill themselves. And it’s frustrating for the police. It’s frustrating for the people whose doors you’re knocking on at 3:00 in the morning. But anytime you have a credible threat and a potential location, I think those two things kinda go hand in hand. If I’ve got a credible threat, but I have no idea where in the world this person is, there’s not a lot I can do about it except direct them, in the policy online, except direct them to talk to someone, direct them to get help, which sometimes that’s all they need. Sometimes, that’s what they’re looking for is that push in the right direction. 42:51 Alex Embry: If I have a location, but a very non-specific threat, it gets a little muddy. Then again you go back to a discretion. That discretion tends to change when there’s a human life potentially in the balance. But when we have a credible threat, someone, I am thinking about taking my life because of whatever, and I know that that individual is in a certain location, certainly that’s a time that we have a credible threat. We have a location. And we have the way to send resources. We have the police. You can call us and we’ll go make sure that that individual’s okay. And if they’re not okay, we’ll make sure that they get the help they need. So for me that would be the absolutely must call when we had a credible threat and when we have location. 43:31 Alex Embry: I had a really interesting case like this. Several years ago when I was on the road, we had an individual make suicidal statements on Facebook. Several of his Facebook friends saw this, contacted us, it was in our jurisdiction, and sent us to his house. One of the Facebook friends happened to know where he lived, even though he didn’t post that on social media. We end up responding to the house. We search the house. We find him. We actually ended up cutting him down from where he tried to hang himself in his basement. What was really bizarre about this to me, which is weird, you’ve been on a job long enough that doing that isn’t bizarre, but what was bizarre about this whole situation was his social media friends, his Facebook friends, kinda, rally on their statement and get law enforcement involved and we go over there and we end up saving this guy’s life. 44:18 Alex Embry: The guy literally had roommates in the house with him and they had no idea this was going on. We’re pounding on their door, going into their house, and they’re like, “We have no idea. I don’t even think he’s here.” And lo and behold, we end up cutting this guy down through no intervention of the roommates, but solely through a social media outlet. It was the first time I’d ever seen anything like that and it was such a bizarre call like that. And I was like, “Okay, so this is a paradigm shift and how the world works.” So having had that experience when I saw you taking the steps on the suicide guidelines, I thought it was a really, really great idea given how things work now and given the interconnected nature of everything. 44:55 Patrick O’Keefe: Yeah, that’s an amazing story, and I’m glad you told it because if you hadn’t, I definitely would have asked you to. It’s incredible and it’s scary, right? Like you said though, having a location, having something you can actually go on is important, and having something that sounds credible is important because you just don’t want to send the police to every situation that sounds a little suspect, right? Things can happen. Other things can happen. It just isn’t the greatest situation. 45:16 Patrick O’Keefe: I think that’s good advice. So what about threats to ourselves and our staff? I’ve received random threats in the past. Other people have had to deal with far, far, far, far, far worse than I have. I’ve had to deal with almost nothing compared to a lot of people. I have always heard people say that if you are scared for your personal safety or that of your family, you should call the police. And that sounds like a good general rule, but it’s kind of vague and it’ll be different for everyone. I mean everyone has a different level of feeling unsafe. So when considering the seriousness of an online threat, someone’s threatening me, they’re saying things, they’re saying, they’re hinting, maybe, they say they own a gun, right? Maybe, they’re not saying they’ll use it on me, but there’s lots of different ways people threaten you. They send you a picture of a gun. They send you a picture of yourself and scissors cutting through, like all sorts of things people do online that are weird. Women are far, far, far, far more likely. 46:02 Patrick O’Keefe: I happen to be a white man, so I get less nonsense online than a lot of my fellow professionals in the industry who are a different race or a different gender or identify in a different way. But when considering the seriousness of an online threat, is there anything I should look for to determine the veracity of the threat? Are there any particular warning signs that might indicate a threat is serious enough where it’s time to report it to the police rather than just ignore it? Because a lot of people tell you to ignore it, right? A lot of people say ignore it. It’ll go away, whatever, it’s just online. But sometimes, often, it gets taken offline. 46:33 Alex Embry: Absolutely. And again, there’s about two things that really stand out to me like man, this is when you need to start taking it seriously. And the first is proximity. If you have a threatening individual that is on the other side of the nation from you, I would not necessarily take steps to notify law enforcement, or I wouldn’t even be in fear or anything. Like this guy literally has to get on a plane and fly across the country or road trip for five days to get here. There’s just no approximate way for him to conduct that threat. Conversely, if the individual making the threats lives in a neighboring suburb, that’s little different, right? Because that guy that’s making those threats literally lives within driving distance. He could be here by the time we’re done with this conversation. So because of that capability for him to be close to you and conduct violence towards you, it becomes much more immediate in how you deal with it. So proximity is important. 47:28 Alex Embry: The one that for me would be even a more trigger than proximity is has he taken steps to further this threat. Someone no matter where he lives, it’s one thing for him to call out Patrick who runs KarateForums, right? It’s another for him to throw stones about the manager there. It’s another for him to take the time to research where you live, what your home address is. What’s your phone number? Is it very clear he stalked your social media profile and he knows more about you than would be right for someone who just took the time to get upset on KarateForums. So anytime they start to further their capability to find out more about you, if they’ve taken time to do research, if they’ve taken time to find out private information, especially, any kind of residential information, address information that you haven’t given out, that’s something you should consider to be serious, because people don’t take steps to find those things out, unless they’re is some desire, at least, to drive forward with the threat. So any kind of act of furtherance, I would be very, very suspicious of, and any time the proximity gets closer to you, to their location, again that would drive my caution level up quit a bit. 48:42 Patrick O’Keefe: Yeah, so anything to do with location, getting near you. I’m traveling right, [chuckle] here’s a plane ticket. 48:50 Alex Embry: Big time, yes. 48:51 Patrick O’Keefe: That’s a concerning type thing. If it goes beyond just vague threats, but also moves into, again, like you said there’s putting real time into this. I don’t wanna joke about it because it’s very serious, but it’s like the people who have clips of newspapers all along their wall, in movies and TV shows, they’re building something, and maybe it’s something they’ll never act on, but the fact that they’re putting in that effort makes it worth at least making the call. 49:12 Alex Embry: Right, yeah. 49:13 Patrick O’Keefe: And at least making a report. 49:15 Alex Embry: Put that on radar and see what shakes out, and at least put the guy on notice that, alright, well I’ve been serious enough to drive by his house and take a picture, he was serious enough to send the cops to my house. And a lot of times, these guys, you know that threat of force, that threat of enforcement action is enough to deter a lot of people. 49:36 Patrick O’Keefe: At the start of the show I asked you how your training as a law enforcement officer helped you as a moderator, to conclude, I’d like to flip that around, and ask you how has your time as a moderator for me, in these last seven, eight, nine years, however long it’s been, as a moderator for me helped you in your career, if at all. 49:53 Alex Embry: It absolutely has. And let me say first, the time working for you as a moderator has been fantastic. I enjoy KarateForums, I enjoy the communities, I still to this day, enjoy being part of that, and being part of the staff. 50:06 Patrick O’Keefe: Thank you. 50:06 Alex Embry: And helping me on the job, I can tell you with… Is certainly no second thought at all, I am 100% more tech savvy right now than I ever was before. [chuckle] And it sounds silly probably to you who runs community for a living, you do a lot of stuff online, you have a big footprint in that community, so it sounds silly, but for someone like me to even get online and manage moving threads around, or moving posts, from one thread to another, and running documentation in that matter, and setting up links, and doing all that. It sounds ridiculously simple to you, I can’t believe Alex would even mention that, but there was a time where I looked at that with, you’ve got to be kidding me, I’ll never be able to do this. 50:49 Alex Embry: It was just not my wheelhouse. And when you look at just simple computer skills, like that navigating databases like that, almost every facet of law enforcement since I’ve been involved with it has gotten more and more technically complex every year to the point where when I first came on, computers and cars were kind of a new thing. It’s unheard of to have a squad car without a computer in it now. Now they’re linked with our mapping software, and our ticket printers, and all of the state databases, and every way that we track and investigate is now electronic. And having an understanding about when we’re doing information gathering how to jump online, how to access different social media websites, how to navigate that to find the information we need, I would not be nearly as good at any of that had I not had this role as a moderator that made me get more comfortable with manipulating technology. 51:42 Patrick O’Keefe: Well I appreciate that and I’m glad that you stuck it out. 51:45 Alex Embry: Me, too, absolutely. 51:47 Patrick O’Keefe: And now look at you, right? You’ve got your own BJJ academy, you post videos on YouTube, you’re a good example, without knowing it, of content marketing, an industry term for creating great content that attracts people to you. You’re doing a great job, so it’s been fun to watch you, I guess grow technology-wise. 52:05 Alex Embry: It’s absolutely true, and thank you for that too. That’s a big part of what we do at Alpha. We run so much of our marketing off of social media, so much of our marketing off the Internet, and again, it’s a comfort level that I wouldn’t have had before I had this job. So I think growing is a great term. I have definitely grown since you gave me that opportunity to work as a moderator with the ability to utilize all these great tools. 52:28 Patrick O’Keefe: Well, Alex, thank you so much for coming on the show, and for sharing your law enforcement experience with us, it’s been a great conversation. 52:35 Alex Embry: Thank you for having me, I really enjoyed it. 52:36 Patrick O’Keefe: We have been talking with Alex Embry, training sergeant and SWAT team commander at the McHenry County Sheriff’s Office who is also one of my moderators at KarateForums.com. He owns Alpha BJJ, a Brazilian Jiu Jitsu academy in Woodstock, Illinois. Visit their website at alphajiujitsu.com, and find them on Facebook at facebook.com/alphabjj. He also co-owns Point of Impact Firearms Training which specializes in tactical shooting performance. Learn more on Facebook at facebook.com/pointofimpactllc. If you have any questions that you’d like me to answer on the air, please submit them at communitysignal.com/qa. For the transcript from this episode plus highlights and links that we mentioned, please visit communitysignal.com. Community Signal is produced by Karn Broad. And I’ll see you next time. If you have a question that you’d like me to answer on the air, I’d love to hear it! Please submit it for a future Community Signal Q&A episode.